At Fabrik, we believe in the power of branding. A brand is the heart and soul of your company, the image and voice that gives life to your business, and transforms your customers into loyal fans. 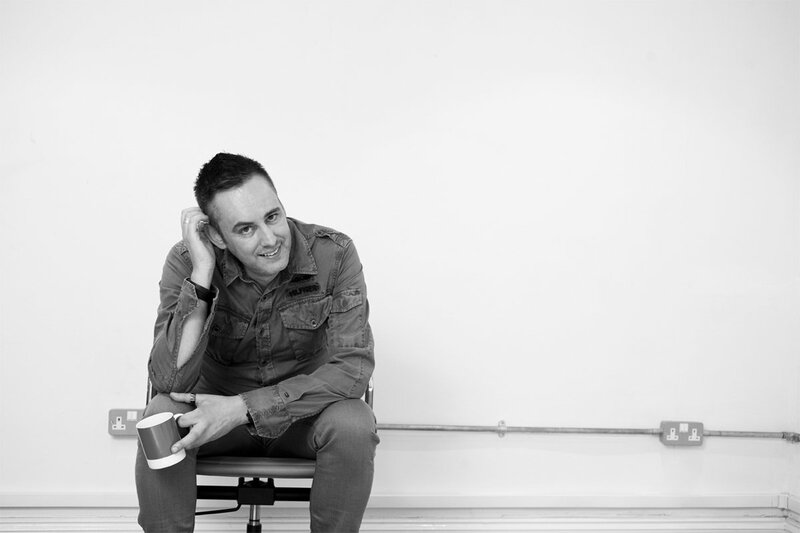 Without a brand, organisations can become little more than huge vending machines, churning out the same old products and services that are already saturating the industry. Because we know through experience just how valuable good branding can be, we thought it was about time we started celebrating some of the businesses that have been doing it right! In our new, “Breakthrough Brands” series, we’ll be introducing you to some of the most appealing companies in the world right now, and how they’ve managed to set themselves apart from the competition with incredible branding efforts. 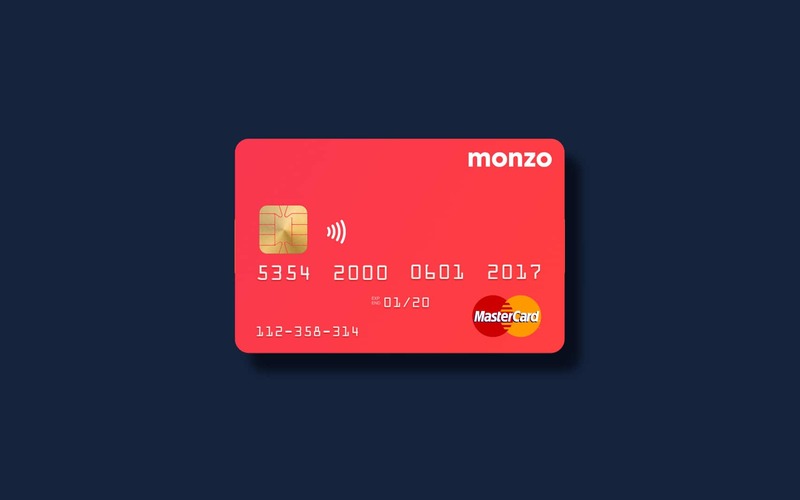 For our very first post, we’ll be focusing on “Monzo” Bank, a digital banking company that has revolutionised the world of financial management from its customer-first approach to marketing, all the way down to its colourful logo, and coral-pink cards. Let’s take a look at how Monzo have transformed the industry, and check out some branding tips that you can take all the way to the bank. Monzo is still a very new company. It was founded in 2015 by a group of guys, including Paul Rippon, Gary Dolman, Jason Bates, Jonas Huckestein, and Tom Blomfield. The team originally met when they were working for a different financial company, called the “Starling Bank”. The idea for Monzo came from an overwhelming desire to create a smart bank for the new generation. The group wanted to develop something that could offer the security and convenience of a typical bank, while still doing away with unnecessary things like physical branches, check books, and so on. In their own words, Monzo wanted to become the “intelligent hub for your entire financial life”. So, they had their brand vision in mind from the beginning, what they needed next, was the capital to get started. Fortunately, in February of 2016, Monzo set a world record for the quickest crowd-funding campaign in history. In 96 seconds, the company raised £1 million through “CrowdCube.” Results like that just go to show that Monzo has a service people really believe in. 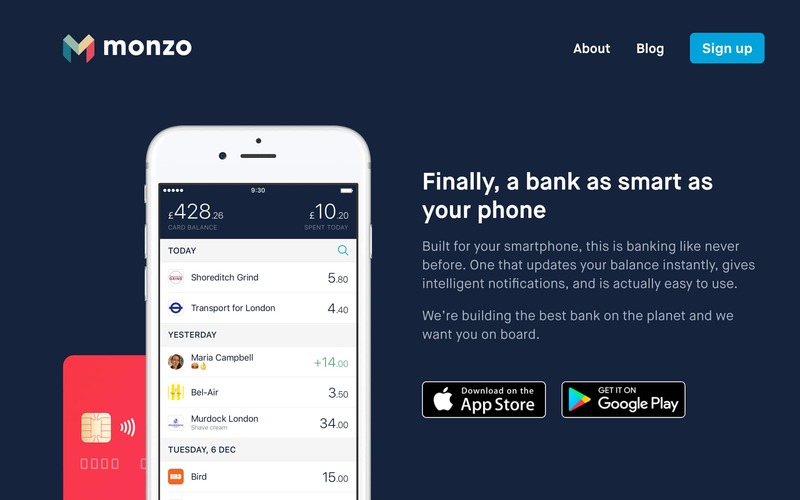 In April 2017, the banking restrictions around Monzo were lifted, and the company became an official financial authority. Currently, the company has several prepaid debit cards already active among the public, which will be in use until their current accounts are available. For the meantime, Monzo announced that 200,000 customers had spent £250 million through their platform by May 2017. 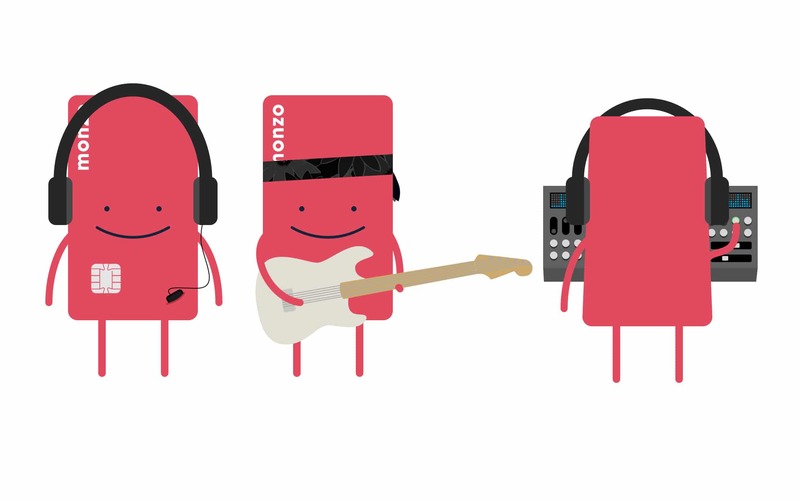 If you’ve heard of a company called “Mondo”, but you’re confused by the concept of a similar bank named “Monzo”, don’t worry. When Monzo originally launched their digital banking app, it was called “Mondo”, but the company were forced to change their name thanks to a dispute over trademarks. Fortunately, Monzo didn’t let the roadblock hold them back for long. Rather than going right back to the drawing board to choose a name that could still portray the same brand identity, Monzo reached out to their existing users, and asked them to suggest names instead. They only asked that they stuck to the first letter “M”. 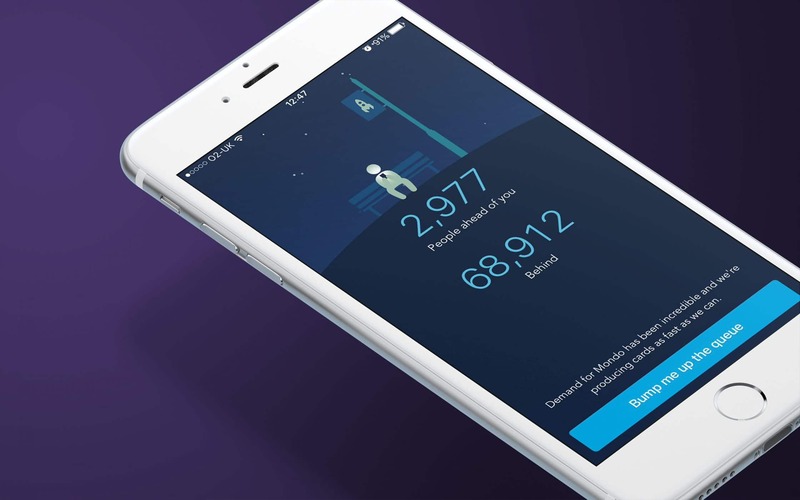 The result of the naming campaign was more than 12,560 suggestions, which the company went through one by one, until they finally chose the name “Monzo”. 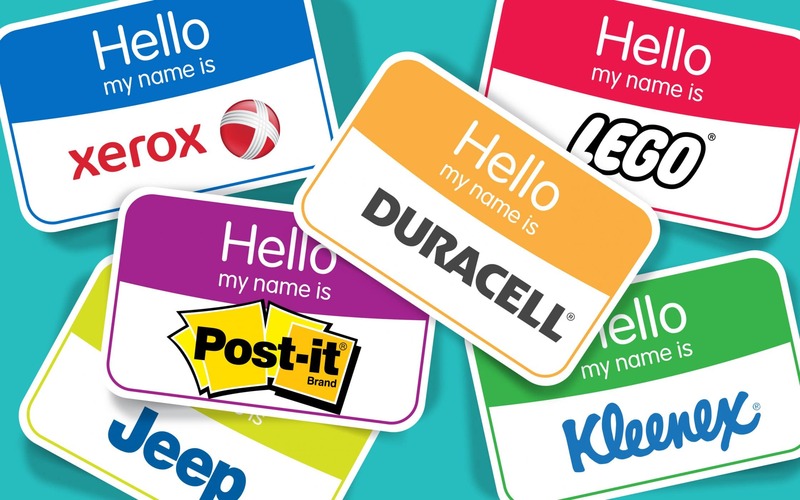 According to one of their blog posts, the brand worked closely with their legal team to choose a name that they loved enough to feel comfortable using for the next 100 years. Of course, there’s more to Monzo than its historical name. 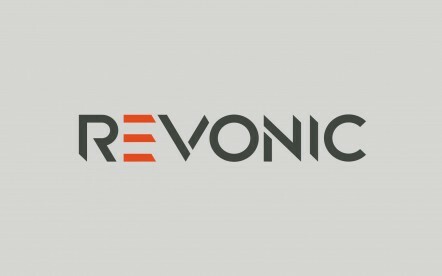 One of the most appealing parts of the company’s visual identity, is its bank card. After all, when you’re running a bank, the card you choose is one of the most significant ways you can build awareness and recognition for your company. Monzo were careful not to miss an opportunity here. Apparently, the brand found out that their deadline had arrived about half an hour before the printers needed a card design. In response, they ran to their in-house designer, Hugo, and told him that they needed a card ready yesterday. Unsurprisingly, like most designers, Hugo felt somewhat unhappy about the fact that Monzo apparently couldn’t respect the time and effort that goes into making a card. After they apologised and asked what he could do for them in a short space of time, Hugo announced that he might as well make the card the same colour as the owner’s shoes if they weren’t going to take him seriously. As it happened, the shoes were an incredible pair of hot coral Nike trainers, which the company decided would be an amazing colour for their design. 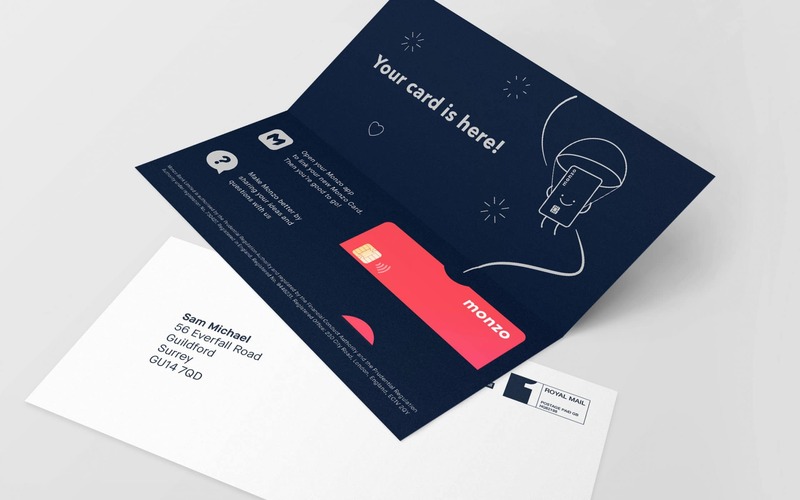 The iconic Monzo card was born out of a happy accident, but it’s something that works for the brand now, because it helps to get them noticed, and blends perfectly with their modern, informal attitude. This really isn’t your average bank, and that’s exactly what Monzo conveys through their visual branding elements. Speaking of visual branding, it’s difficult to ignore the Monzo brand logo. After all, after a little tweaking, the little masterpiece has become almost as iconic as their hot-coral card. 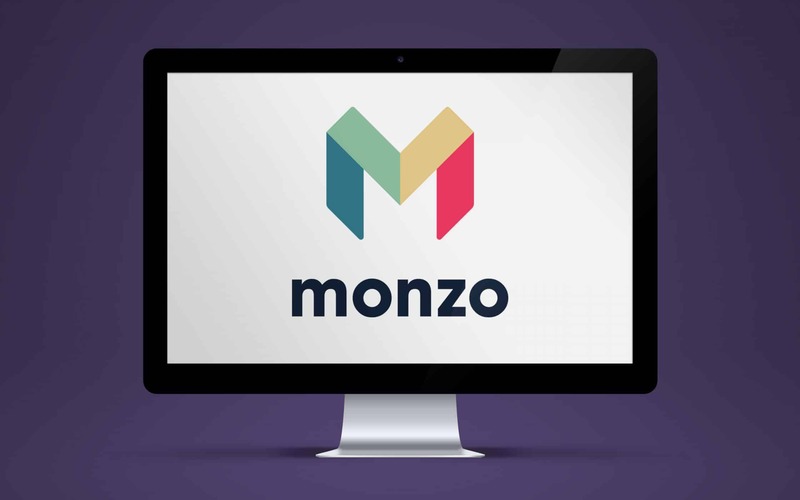 The logo, like many of the other design choices made by the Monzo company, was created after a great deal of careful planning and discussion among the team. The business wanted to create something that represented what they stood for visually – which is exactly what a logo should be. In a company blog post, Monzo said that they wanted a logo that conveyed the idea of a technical, yet simple banking experience that feels like “magic”. 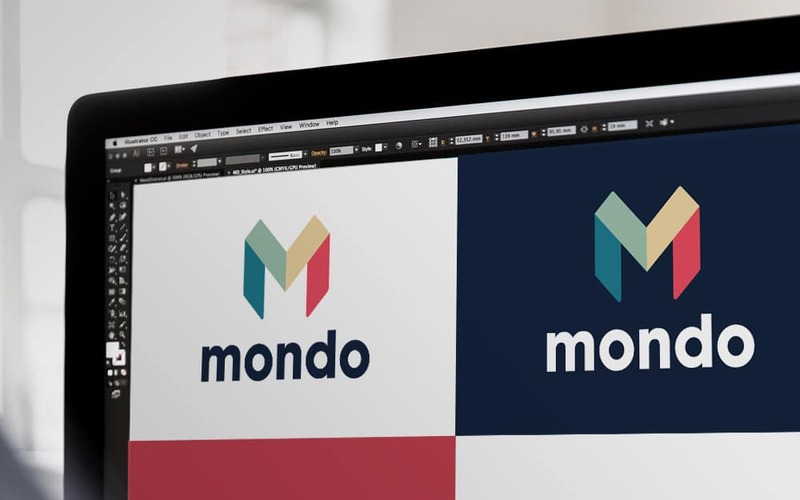 Though they started off with a temporary black and white logo, after Monzo took on their own marketing and design team, they were able to start thinking about their visual identity and brand positioning in a more dynamic way. From a designer’s perspective, the Monzo logo is both simple, and evocative. 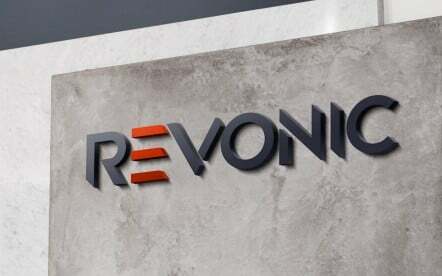 It’s inspiring, with a range of colours intended to draw the eye and create focus, but the smooth and friendly lettering also suggests that the company is more informal than your standard bank. The logo designer, Sam, said that he created the logo in an effort to portray something that’s strong, confident, and authentic, as well as being friendly, colourful and human. It’s easy to see how Monzo have set themselves apart with distinctive visual branding. 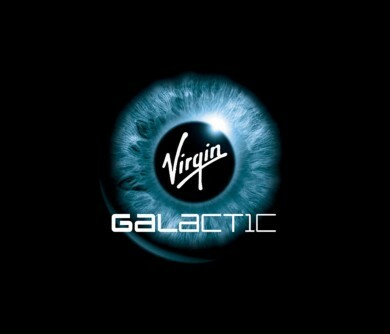 However, it’s also worth noting that the company has been particularly successful in their marketing efforts too. 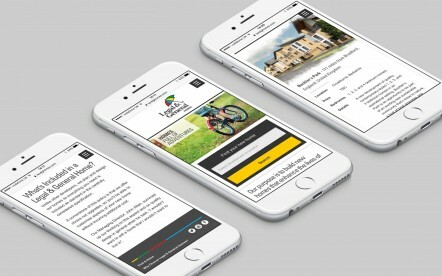 Not only did they break world records with their incredible crowd-funding campaigns, but the group also created an air of unique exclusivity for their brand by designing interactive waiting lists. The idea behind the waiting lists is that you could get earlier access to the bank if you referred your friends. 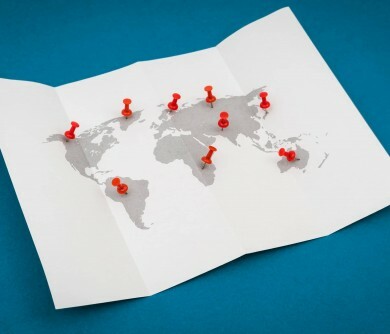 This meant that before the Monzo app was ever ready, the company already had customers signing up from all around the world. Perhaps one of the elements that made the interactive experience so appealing from a marketing perspective, was that it reflected Monzo’s brand identity so well. People aren’t used to having a gamified, interesting experience with their banks. However, Monzo were all about creating something that’s entirely different to what’s already out there. Although they’re still offering the same things you would want from your standard bank, Monzo are setting themselves apart by giving their customers the experience they want, rather than sticking stubbornly to the tried-and-tested traditions. The transparency in that waiting list format that Monzo used towards the beginning of their branding has also been carried with them consistently throughout their customer service and company voice ever since. In everything they do, Monzo maintain a friendly, authentic approach that makes them so much more relatable than the standard bank. In their emails, Monzo maintain a simple, but effective personality that makes it feel as though you’re talking to a friend or an acquaintance, rather than a huge company. You can even see their attitude in the way they’ve organised their website, to include a “transparency dashboard”. It’s clear that this authentic approach is working to establish trust and loyalty among Monzo’s customers. 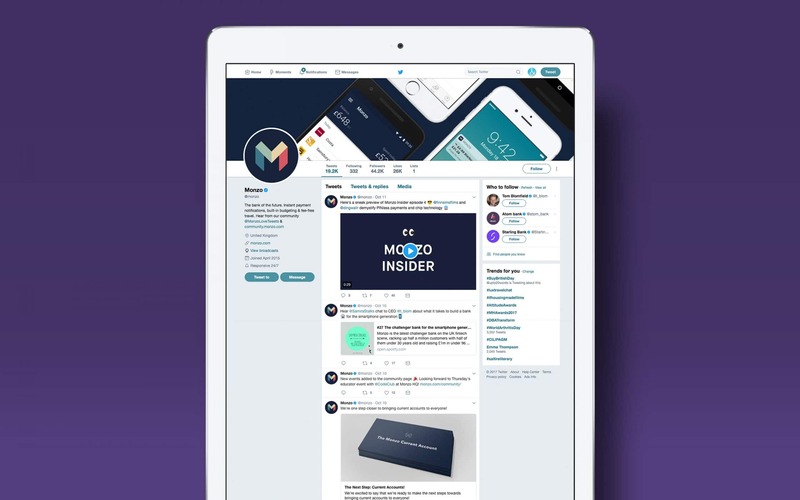 All you need to do is look at their 43.4k followers on Twitter, or check out their thriving forum boards to see how invested the Monzo community is in their new favourite bank. Monzo knows that if it wants to connect with its customers, it needs more than just the right colours and images for their brand. 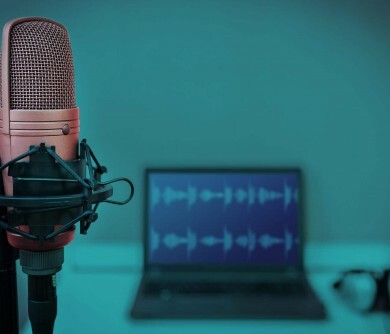 Your brand image is conveyed by everything you do and say online, and having the right tone of voice can be critical to creating a personality that your clients can really resonate with. One particularly interesting thing about Monzo’s tone of voice guidelines is that it encourages employees to use emojis. This helps to demonstrate how invested Monzo is in earning the attention of its younger audience demographic. You’re not likely to see a lot of emojis from other banking groups – though Monzo recommends its staff don’t go over-the-top with these little smiley faces, it hopes that they can use them to add positivity and “context” to consumer conversations. Monzo’s tone of voice is a natural extension of its unique personality. 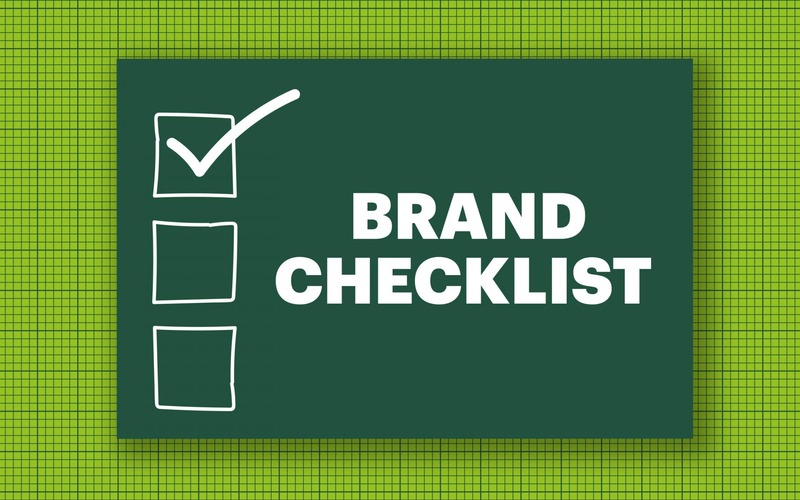 The brand believes that every word counts when it comes to connecting with its customers, which is why it’s so keen to give staff a set of guidelines to follow when they’re representing the brand. However, importantly, the organisation doesn’t want its experts to see their guidelines as “rules”. Monzo is all about empowering people, through innovative banking, intuitive customer service, and a unique approach to the financial world. That means that it wants their staff to continue using their own empathetic voice when serving clients. All the guidelines do is provide team members with a little extra help if they’re trying to figure out the right tone of voice for the Monzo team. 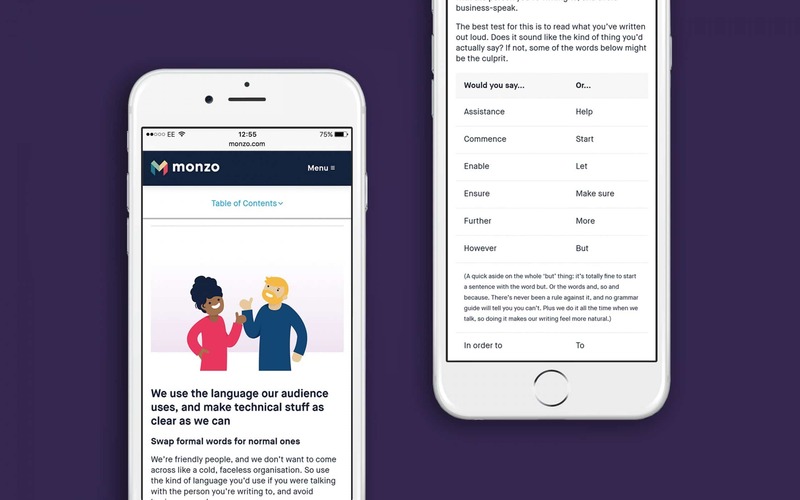 What’s more, to further highlight their community-driven approach to business, Monzo also encourage its team to have their say about its tone of voice guidelines. 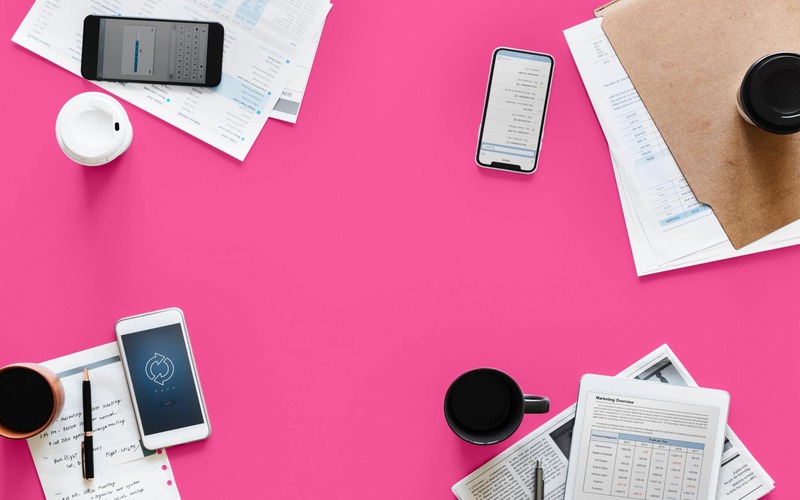 While it’s hard to argue with a company that wants its employees to be positive, ambitious and focused on the end-user, if employees do feel that anything is missed out on the guidelines, they can get in touch with Harry Ashbridge, a representative of Monzo. 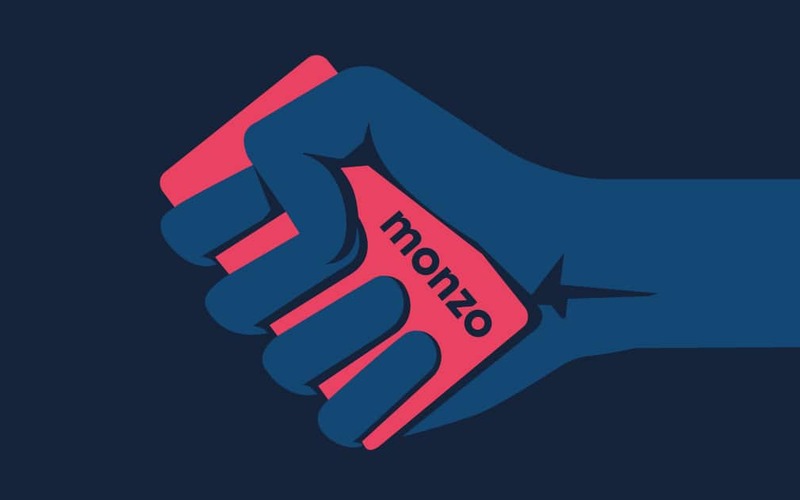 One of the key elements that makes Monzo’s brand identity so compelling, is the fact that they’ve stuck to it consistently in everything they do. Their authentic and trustworthy attitude has even meant that the company have devoted themselves to building their business with their customers. Though the start-up is still relatively fresh, they’ve added thousands of users to their portfolio in less than a year, simply by taking a more open approach to the way that they build and market their products. Their community, which they lovingly named “Monzonauts”, can submit requests on the online forum when they’re having problems, or talk to the brand on Twitter. At the same time, in an effort to support their USP of banking transparency, Monzo have put their complete product roadmap online, where you can vote on the different features you’d most like to see. For instance, after getting an overwhelming number of votes, Monzo recently rolled out a new app for Android devices. 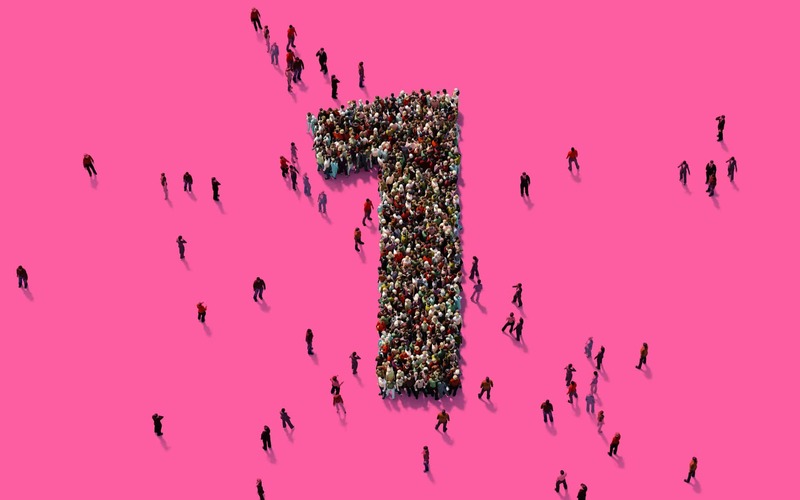 According to the head of digital marketing at Monzo, Bailey Kursar, the passionate user base is what drives the brand forward, which is something that we’ve been able to see ever since that world-record-breaking crowdfunding event. According to Bailey, Monzo believes that the most successful brands are the ones that can define their values and vision for the people they’re working with. We couldn’t agree with that statement more. Monzo’s approach to a community-based brand is appealing because it’s consistent and authentic. They don’t just ask their customers what they’d like to see, they ask for their opinion, and make changes based on what their consumers say. 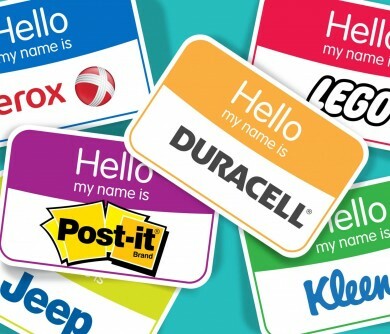 For instance, when the brand needed to change their name, they contacted their subscriber list of 100,000 people, and put the word out on social media, asking for help. In other words, for Monzo, great marketing is all about getting people excited, and engaged. 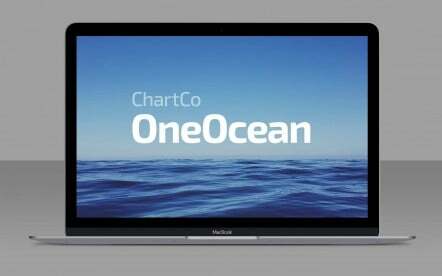 When they were asking for name suggestions, the company also received around 2,500 user photos submitted across various channels. 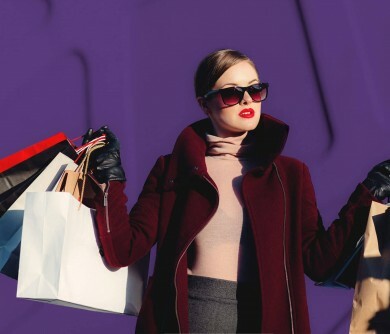 This gave them a great source of user-generated content that they could use in their future campaigns, to build upon the reputation they had already established as a customer-first company. Monzo are powerful because they’re unique in everything they do, but consistent in the way that they differentiate themselves from their competitors. 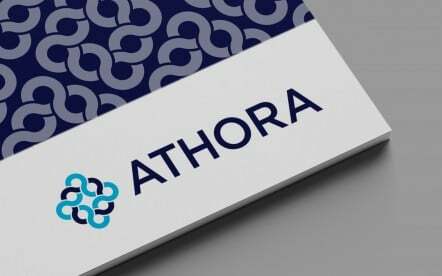 The brand wanted to be something that customers could separate from traditional, stuffy banking experiences of the past, and that’s something that they’ve accomplished perfectly with their captivating blog posts, their exciting social media presence, and their amazing visual identity. In our opinion, one of the key things that makes Monzo so special as a breakthrough brand, is the fact that it’s truly dedicated itself to creating a consistent, and compelling visual, and verbal identity. This is a bank that screams simplicity, friendliness, and customer value from every touch point. When it comes to banks that know how to use branding to their advantage, we only have one thing to say to Monzo, and that’s “bravo”. I love this idea. Banking to me always seemed like a concept that was really struggling to come to terms with the digital future. Most of the banking apps I’ve used have had such a limited range of functionality it can be frustrating. 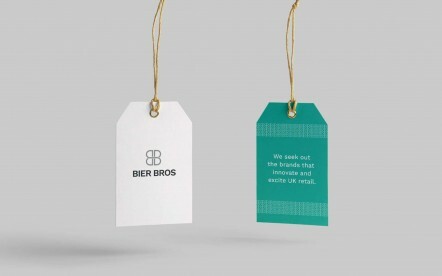 I also like the idea that this is a brand that has really been developed through interaction with it’s customers. I imagine the record breaking crowd funding really helped as well! I really empathise with their designer Hugo on the design of the card. 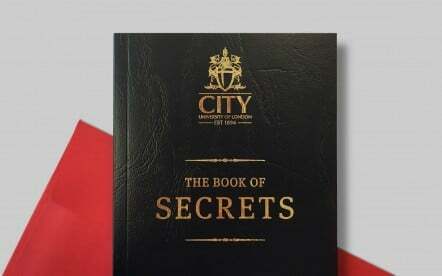 The amount of times I’ve had clients expect something amazing churned out in 5 minutes, you’d think I was working for one of the design studios on The Apprentice! I think the choice of colour palette really works to set the brand apart from more traditional competitors & all the pieces have been nicely tied together rather than feeling like individual items. Imagine breaking into the banking world and changing the nature of banking for the next generation. 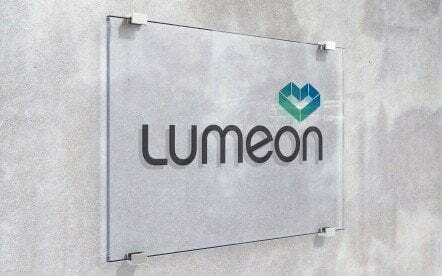 This is a fantastic legacy for a new up and coming company that speaks to the modern world. Technology is infiltrating all aspects of our lives, and it’s so important that companies keep up with that. 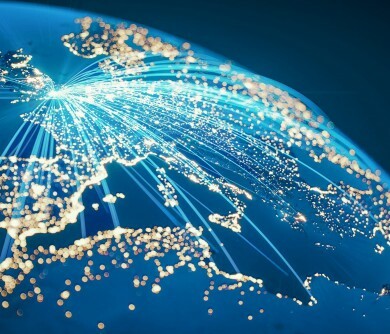 For those of us who use new, fast and efficient technology all day every day, we want that to carry on through every part of our life – including banking. Even now, the majority of online banking is still pretty slow and time consuming – it’s certainly not something I look forward to. By being able to bring banking even more into modern culture is a great thing. What an exciting company to be a part of right now! Your post captures the issue pelefctry!